You may soon have more options for a cable box than renting one from your cable company. The Federal Communications Commission has a plan to make cable companies provide apps that could be used on devices made by tech companies like maybe Roku or Apple. It says Americans spend billions each year renting boxes and believes there is a better way. The FCC says the new rules mean more choices and will make it easier for TV lovers to search for and find video they want. Its January proposal was opposed by the TV and cable industries, criticized by the U.S. Copyright Office and dozens of lawmakers. A revised plan released Thursday adopts some cable-industry suggestions. The FCC's five commissioners will vote on the plan later this month. If approved, most cable customers could choose another device to watch cable within two years. The changes would succeed the CableCard, which consumers were supposed to stick into another box like a TiVo to get cable channels. But the CableCard proved to be unpopular with consumers and it largely flopped. You can use a cable box to watch TV today, but you usually also need another device, like a Roku, Xbox or Apple TV, to watch video from Netflix, Hulu, HBO's app or other internet-based services. The FCC wants popular gadgets to also have access to the cable channels you pay for. That would mean you could search for "Seinfeld" in one of those devices and see what video you could watch from cable channels, other services you subscribe to, like Hulu, and free versions available online. Initially, the FCC wanted to force cable and satellite TV companies to provide feeds of video and channel information to such gadgets, but that led to fears that device makers wouldn't respect agreements between cable operators and entertainment companies on terms like channel lineups. There were also worries that device makers could insert their own advertising. The cable industry suggested a plan that would have operators instead develop apps, which they also control, and the FCC agreed. The agency made some changes, though, including a technical tweak that addressed complaints about the expense of supporting such apps from Roku, which makes streaming boxes. It will also oversee an industry group that develops the standards for how the apps will work on devices. The FCC could change the terms of agreements if it thinks they are damaging to competition. Cable operators don't like the idea of the commission's oversight of the group's work. A cable-industry backed group, the Future of TV Coalition, said in a statement Thursday that the FCC's revised approach interferes with industry agreements, "micromanages" video apps and will slow innovation. A group of entertainment conglomerates, including 21st Century Fox, Walt Disney Co. and Time Warner Inc., had also expressed concern with the search capabilities allowed under the revised plan before it was officially announced. They worry that users who search for a TV show will see a free, unlicensed episode displayed next to the cable-company version—that could potentially prompt more people to cancel their cable subscriptions. Public Knowledge, a consumer group that advocated for the rules, is content with the new plan despite preferring the FCC's initial approach. John Bergmayer, Public Knowledge senior staff attorney and a set-top box expert, said he thought that the FCC's first stab at the rules could have more easily allowed device makers to enable user-friendly features than a cable operator's app might under the revised plan. Still, "I think it's great and a lot better than what we have now," he said. 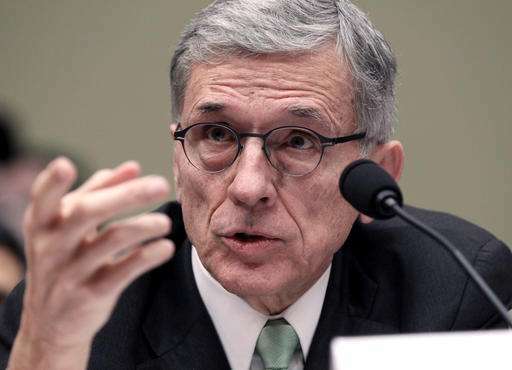 The cable-box plan is the latest set of rules over which FCC Chairman Tom Wheeler has tangled with the cable industry in recent years. The industry has clashed with regulators over everything from new privacy proposals and the expansion of broadband networks built and maintained by cities rather than private companies, to net neutrality, which mandates that internet service providers treat all traffic equally. Kodi.TV + Exodus for all your free streaming needs. Yarrrr!